Mr. Matsuo always says, “A first-class KOI becomes nothing if it’s dead”. He has great skills in taking measures combating diseases such as KHV and SVC, salt bath, sterilization, and has an excellent knowledge of exporting. He has been exporting Koi, which can adapt to changing environments, anywhere in the world. Matsuo Koi Farm is one of the farms in Japan that can ship out Tosai-gyo, a delicate fish, at its young age. Mr. Matsuo proudly has a long career of 25 years in this business; he is the second-generation of his family running the farm. There are lots of fans of his healthy strong Koi as well as his nice smile and mustache, worldwide. Mr. Matsuo gives great service especially to the customers coming from overseas. He would bring another Koi from the next pond if the customers don’t see any ones they like. He would also give them a discount if they say the price is too high for them. In short, he is the breeder who takes good care of his customers. They have received the Kokugyo Prize, a national prize, at the All Japan Koi Show, which signifies that their Koi is superior in quality. “I’m looking forward to meeting all of you.” Mr. Matsuo said. The previous "NICE KOI", bred by MATSUO KOI FARM. Other available varieties, please confirm at "the current stocks". 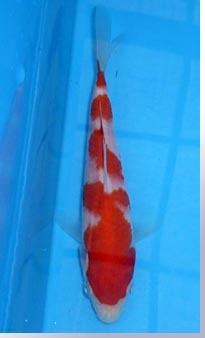 Matsuo knows, "the stronger red color KOI is acceptable for international KOI market". All of his KOI breeding was followed this firm idea, and it was also good for Japanese market. As the actual fact, he is winning many prize at KOI shows. If your want, this is possiblefor MATSUO to ship these prize winner with their certificate .... it is the pleasure, to be an owner of prize winner, isn't it ? Order & request For inquiries, please send us an email. Please note that any inquires about KOI on this page can not be accepted at the farm. And, the delivery by door to door is NOT available. About 1965, the father of Kityoaki Matsuo started the KOI breeding. Before that, he was breeding "eel". The farm for eel was very useful for KOI breeding ... he could start the KOI breeding without special repair and new facility. 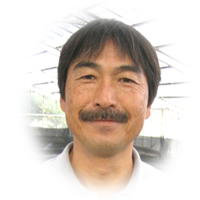 And Mr. Kiyoaki Matuo, he has already had more than 25year's carrier as the professional KOI breeder. 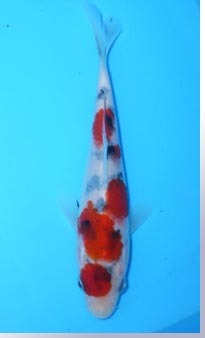 Unfortunately, the father MATSUO was passed away, but, we can find he KOI breeders' split has been carried to current generation. 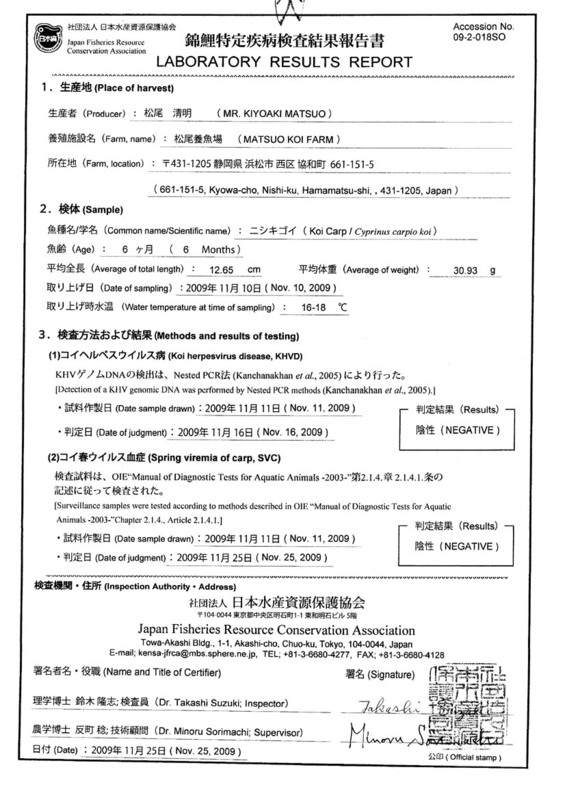 In 1999, Kiyoaki had 15 of new green house. By th econtrol of the temperature and water condition and the quantity of KOI per pond, his KOI breeding capasity has been great. 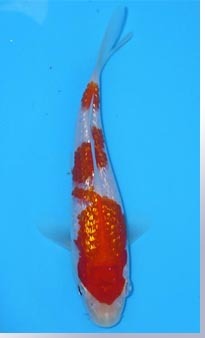 He is breeding a lot of different varieties, and especially, BENI-KUMONRYU is popular in domestic and international market, and always this varieties won the prize at many KOI shows. And The biggest KOI contest , ALL JAPAN KOI SHOW , he finally won the KOKUGYO prize by his KOHAKU. This honor should not be there, withour his daily efforts, we know. Butm this finest result is NOT enough to stop him. He is still keep breeding more and more KOI to make you smile !